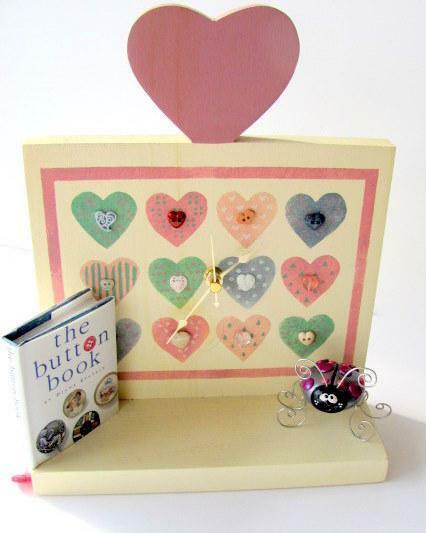 A one time shelf becomes a clock after many years!!! This little shelf piece has been in my possession for over 23 years and packed away for the last 8. I finally decided to do something with it and it became a clock/shelf. 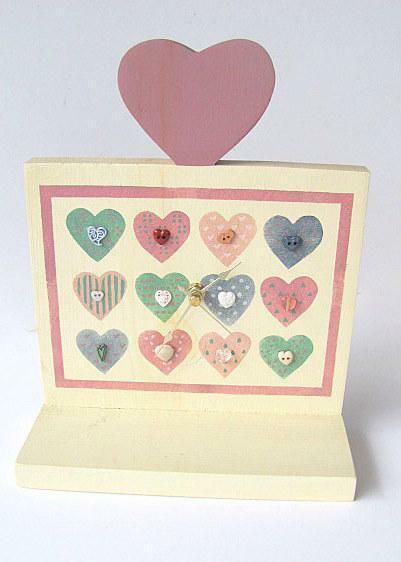 The solid wood is painted in a cream color with 12 hearts painted in various deep pastel shades of pinks, blues and greens. 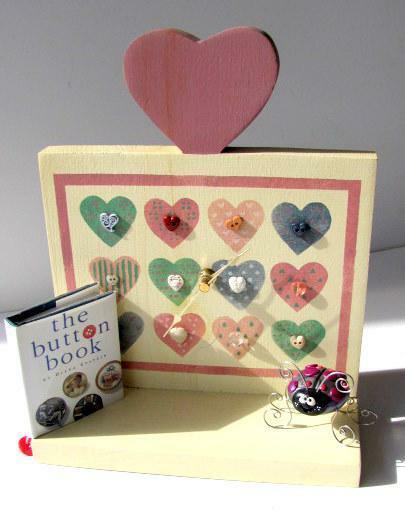 Upon each I have added a heart button which completes the theme with the large pink heart at the top. It measures 10" top to bottom (25cm) and the shelf is 2 3/4" (7cm) deep. It is 8 1/4" (21cm) wide. There is a saw tooth hanger on the back. The clock mechanism is quartz with gold tone hands. It needs one AA battery which is included. My little book and bug are not included. 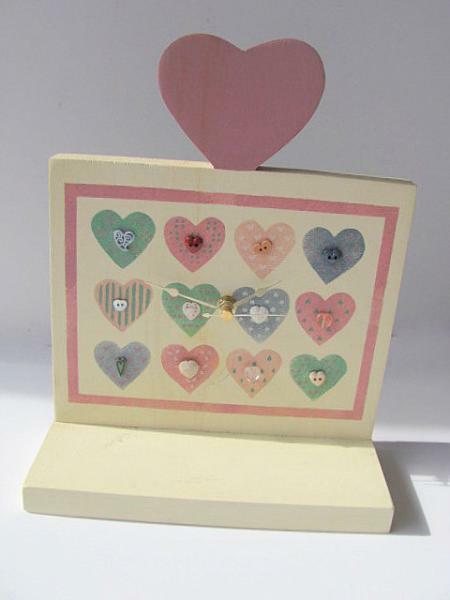 Wouldn't this look wonderful in a shabby chic setting? A girl's room? Your studio?! If I have overcharged the postage by $1 or more there will be an instant refund. This is not a light piece.